There is plenty of information out there about teeth whitening and plenty of companies that offer the ‘perfect’ product to do the job. As the consumer, the challenge lies in weeding through all the information to get to facts and letting all the myths and unsupported claims fall by the wayside. At Eggert Family Dentistry, we believe that you deserve accurate information so you can make the best decision for your smile so we want to debunk 5 common myths regarding teeth whitening. Myth #1: Teeth whitening will damage your enamel. Busted! As opposed to wearing away outer enamel and revealing a fresh layer of enamel below, professional whitening opens up the pores of your teeth and diffuses oxygen into the tooth so the light scatters differently and everything appears whiter.. No damage is caused to enamel in this process. Myth #2: Teeth whitening causes extreme sensitivity. Busted! Although minor sensitivity isn’t uncommon, there are some proactive measures you can take to lessen the likelihood of this occurrence. For a couple weeks prior to having your teeth whitened, brushing with toothpaste for sensitive teeth helps guard your teeth against possible sensitivity from professional whitening. There are also daily mouthwashes that can reduce sensitivity. Extreme sensitivity should never occur from a professional whitening procedure. Myth #3: DIY whitening products are comparable to the dentist’s whitening products. Busted! Rubbing acidic fruits on your teeth or using baking soda on your toothbrush will lead to enamel erosion, hydrogen peroxide can be harsh on enamel and gums and there is no clear scientific evidence to support the use of activated charcoal to brighten your smile. Myth #4: Whitening will make your teeth look unnatural. Busted! There is a finite level of whiteness your teeth can achieve and that depends on the original shade of your teeth. Whitening your teeth is the most natural way to a brighter smile since the enamel stays intact and the light will still scatter from your teeth in a natural manner. Myth #5: Once teeth are whitened the results are permanent. Busted! Professional teeth whitening results can easily be maintained, but the maintenance you do will determine the longevity of your results. We recommend doing some maintenance monthly, which may simply mean one overnight treatment each month. Everyone’s whitening diffuses at different rates so your maintenance schedule may be more rigorous, but we will help you determine what will be best for you!. At Eggert Family Dentistry, we offer several effective and safe teeth whitening treatments right in our office. 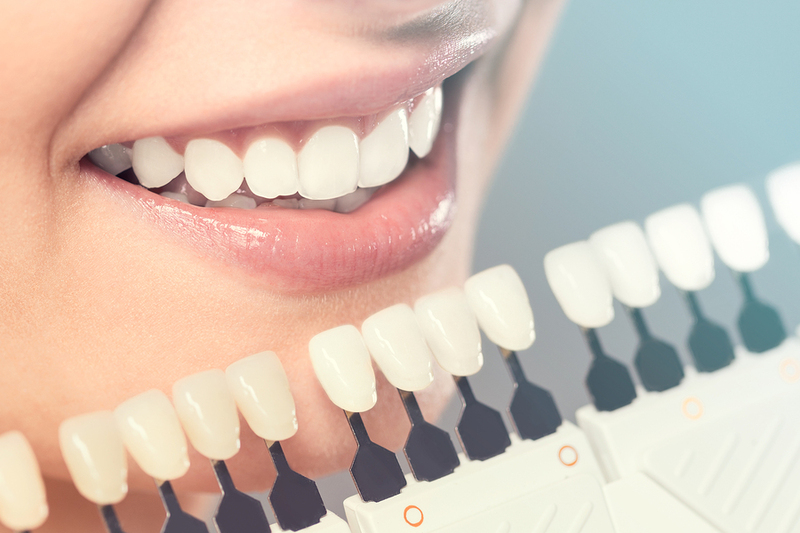 If you would like more information about teeth whitening or any of the other services we provide, we would love to connect! You can give us a call at 651.482.8412 or contact us to schedule your consultation!